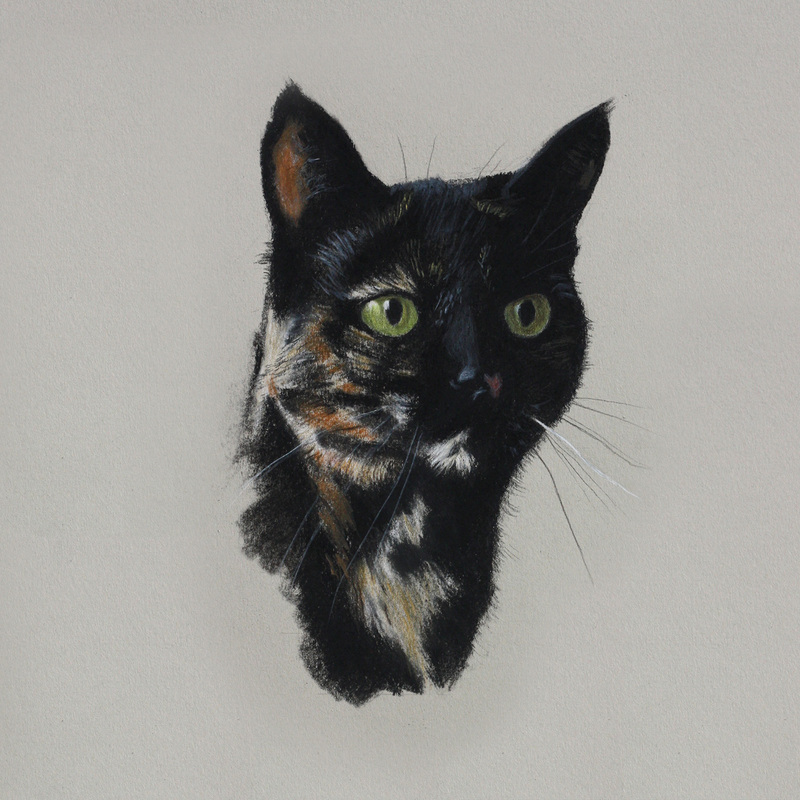 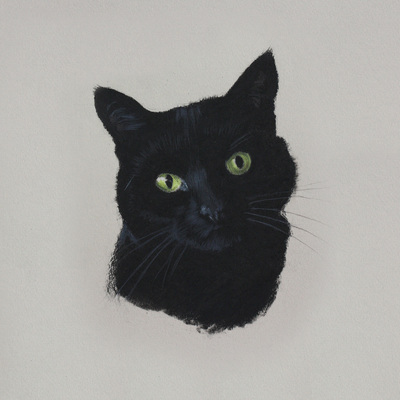 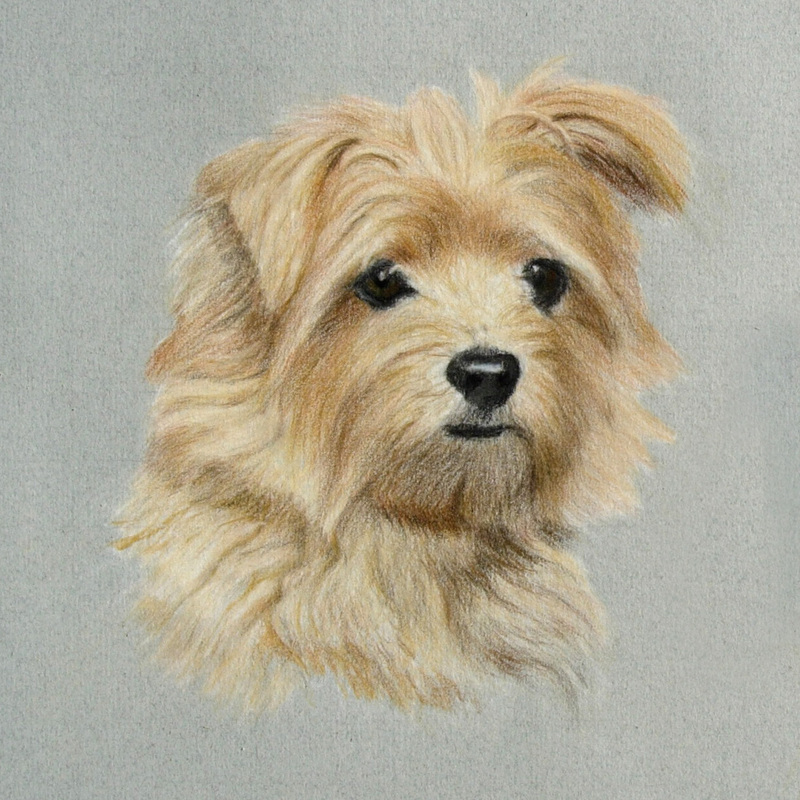 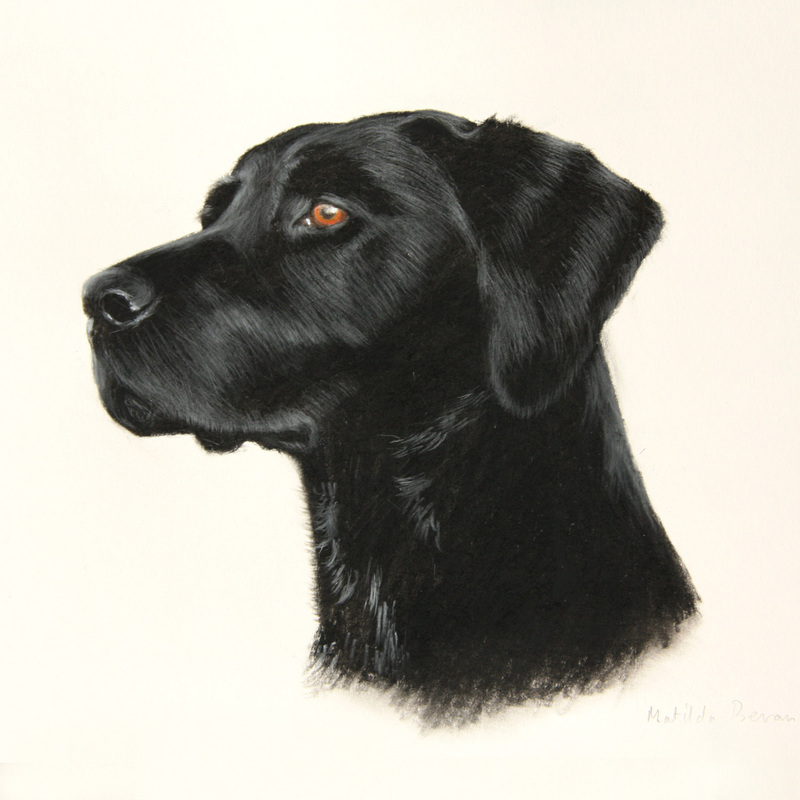 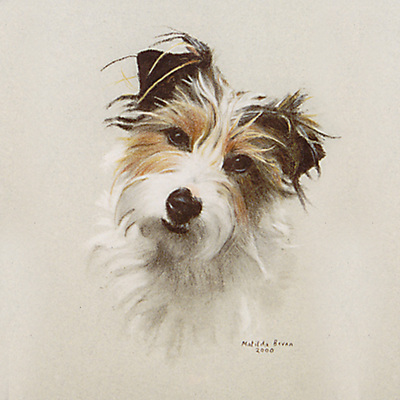 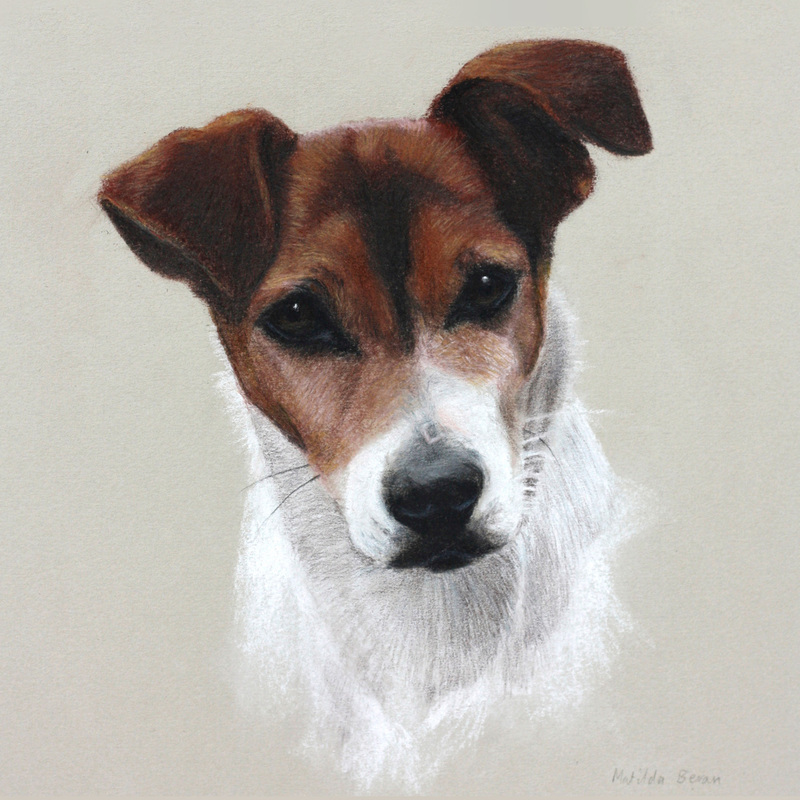 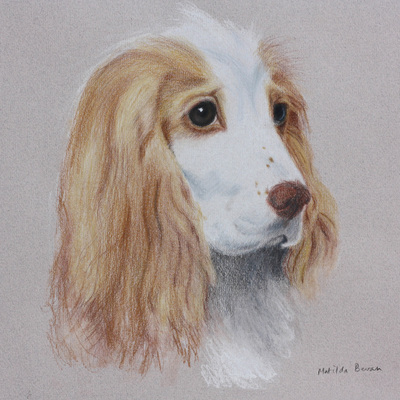 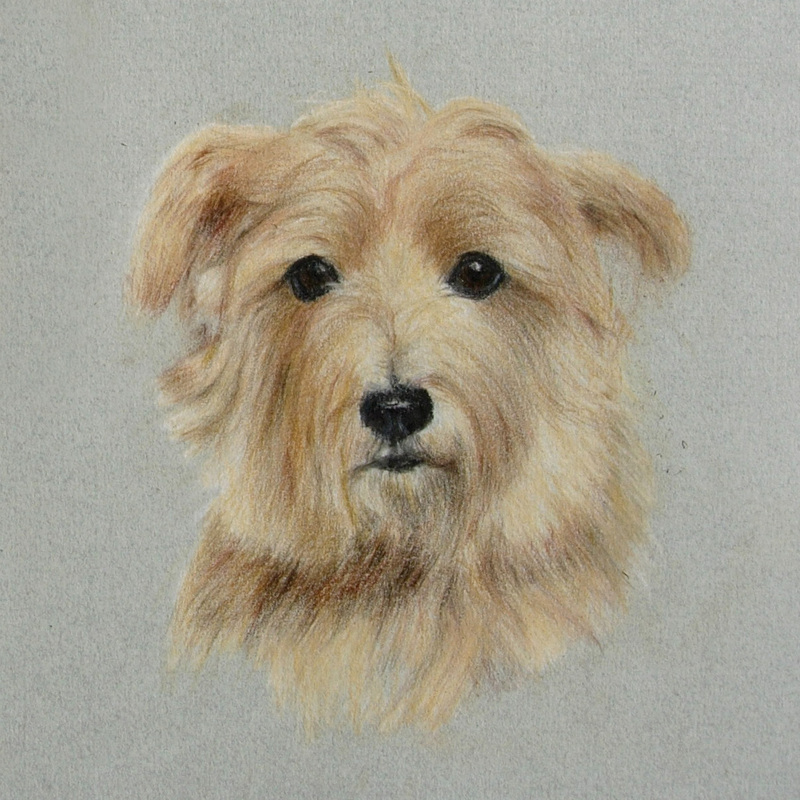 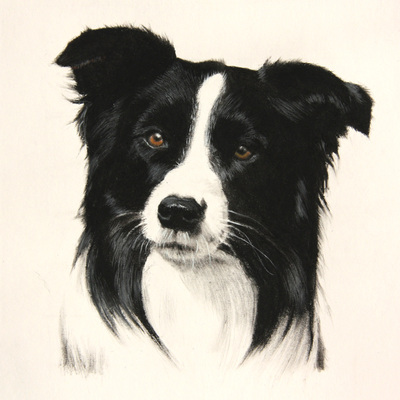 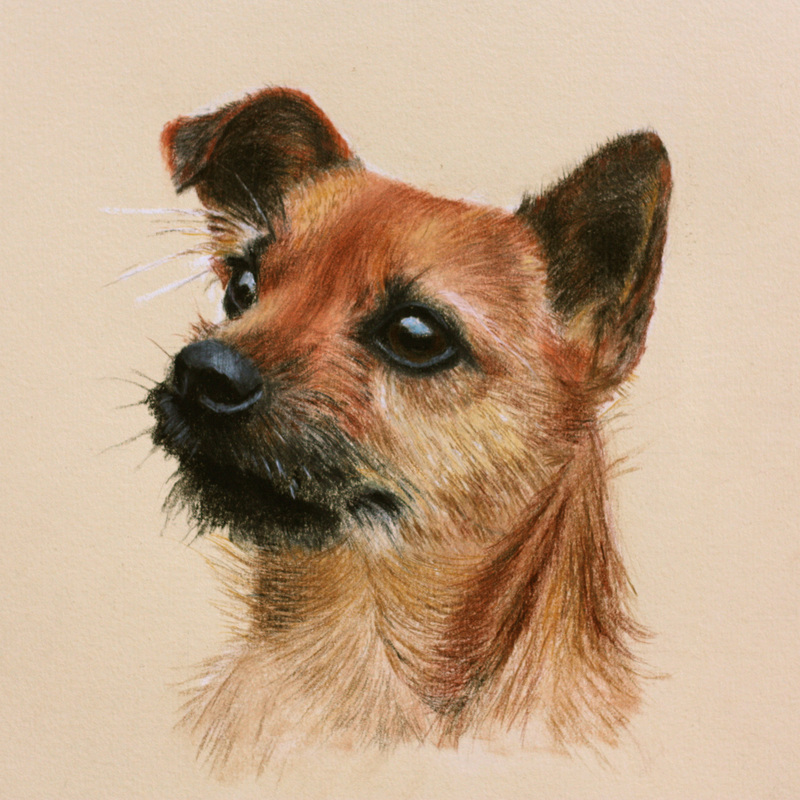 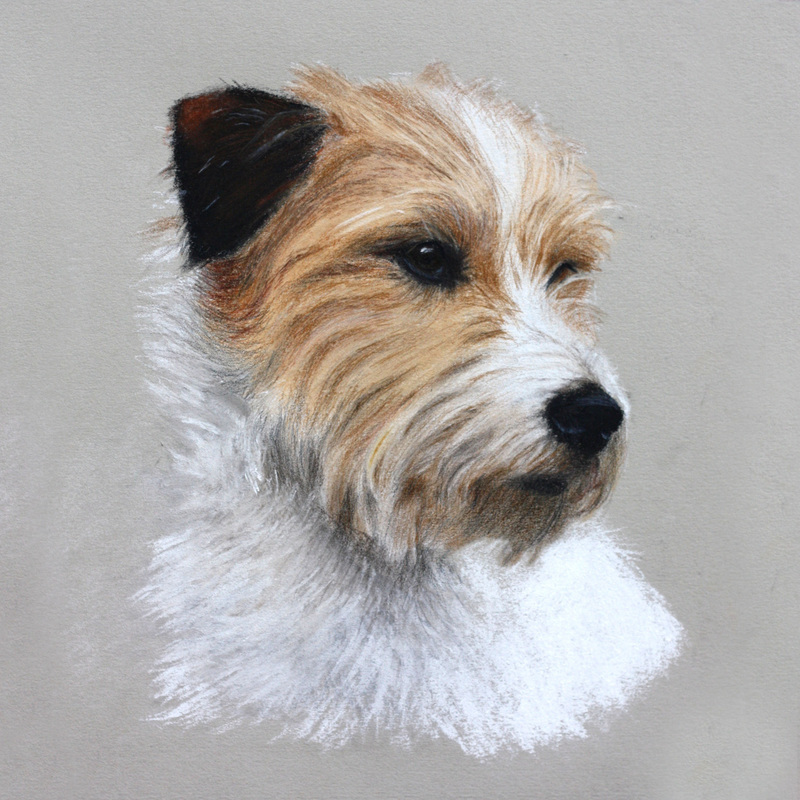 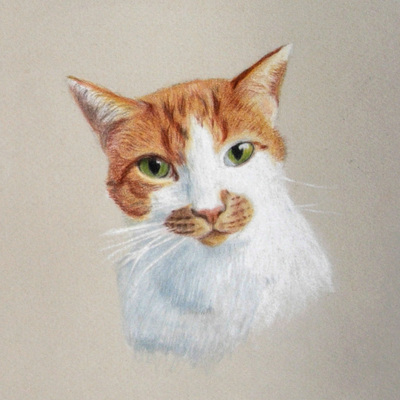 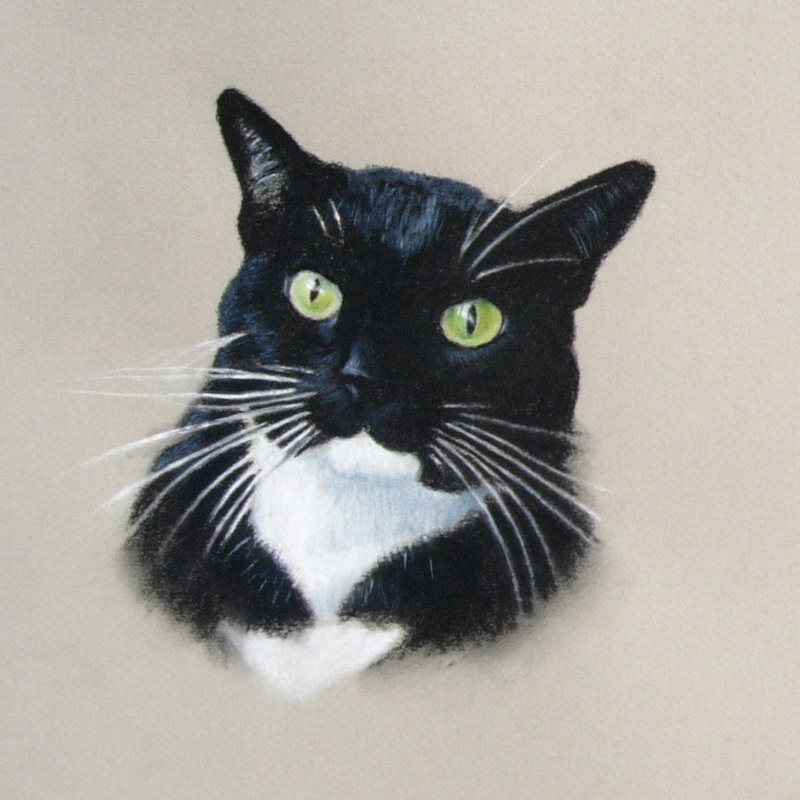 Matilda Bevan draws dog portraits, cat portraits, and horse portraits, near Hexham, Northumberland, UK. I really look forward to seeing photos of your favourite animal from wherever you live, and from them making a faithful, animated likeness full of personality, in coloured pencils on paper. 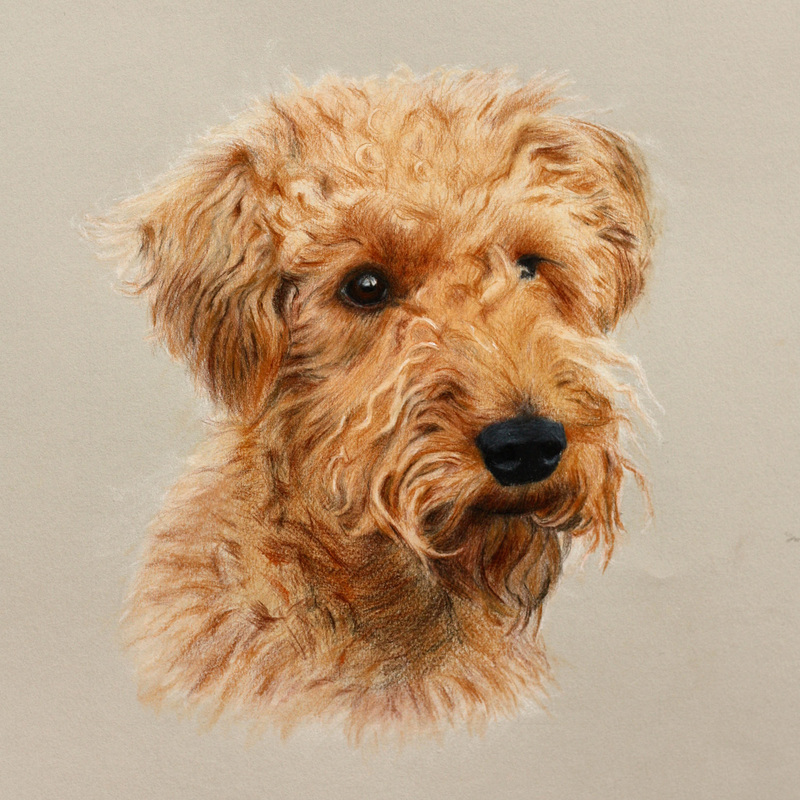 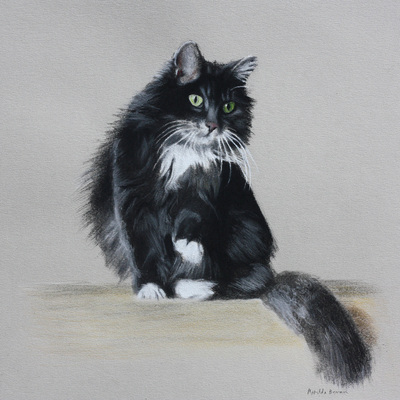 Please note I also offer to come and meet you and your pet to take those special camera shots that bring the best drawing results; just see my 'Commission' page for details. And of course if you are local you are welcome to bring your pets to me. "Matilda has been fantastic. She has really captured the expressions of my pets perfectly and has been a delight throughout." "The picture of my dog is fantastic. It has been great dealing with you."